A variation of that statement has begun the work relationship for untold numbers of drivers over the years. And yet there is increasing pressure on trucking companies to retain their workers. Something is amiss, but what? From the impact of driver utilization on pay to other non-paid incentives, trucking companies have a wide range of options available to satisfy the needs of their workforce. Remember that offer for $0.40 per mile? What if you found out after you were hired that I only planned to let you earn about half of that money due to downtime and inefficiencies due to the shipper, receiver, and industry regulations? The industry’s service is becoming a commodity, according to Rim Yurkus, President and CEO of Strategic Programs, with little differentiation between providers and a constant race to the bottom. The issue is that drivers are accepting jobs with the expectation that they will be driving longer every day, yet inefficiencies and delays keep them from realizing their full earning potential, so they ultimately leave. According to Hours of Service, a driver’s “on duty” time totals 840 minutes, or 14 hours, with a DOT-required 30-minute break. Of the 810 remaining minutes, 660 minutes can be spent driving. That leaves just 150 minutes for all other activities, including pickup, delivery, safety inspections and shutdown. It is not uncommon for live loading and unloading alone to require more than 150 minutes. Any time spent beyond the 150 minutes performing these activities cuts into driving time, generating inefficiency. The response from drivers at these organizations has been positive, according to Yurkus. Not only are the drivers now earning compensation similar to what they expected, but at its peak, full driver utilization could mean even higher wages for some. If inefficiencies drop significantly enough, drivers can get in another 40,000 miles per year, netting them approximately $18,000 for their efforts. When it comes to driver incentives, one of the simplest offerings is a recognition program. In fact, these can even be tied into specific company values or goals. For instance, if driver safety is a core value of the organization, drivers may be recognized for specific safety milestones. Research shows that something as simple as a “thank you” can improve organizational performance, and it can certainly help with individual performance as well. Improved routes–offering drivers a dedicated route can help to make their lives more predictable, leaving them less stressed. PrePass–this small convenience saves drivers valuable time by letting them skip over weigh stations and other similar facilities if they meet certain weight and safety criteria. Driver-friendly freight–offering types of cargo that are easy to load and unload can go a long way toward improving a driver’s day. One other option is allowing additional days at home for drivers. This hometime can mean the difference between a driver that is well-rested and ready for work and one that is stressed out and unprepared for the task at hand. Green says that it comes down to offering a pleasant, comfortable environment for your drivers. If they enjoy and appreciate the options available to them, then there will be less retention risk because other trucking providers won’t have the leverage to pull them away. There are many levers available for improving driver satisfaction. Not all problems can be resolved simply by examining pay–other factors play into the relationship and drivers appreciate a variety of options. 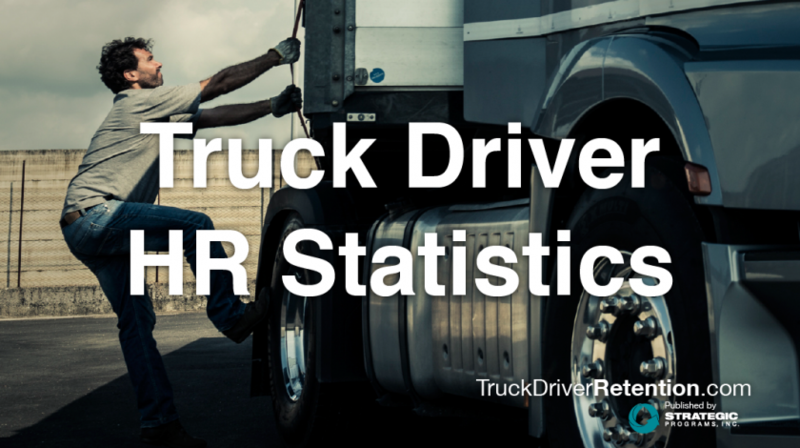 The answer to the truck driver retention problem is to continuously explore options such as these to determine the right mix for your workforce.